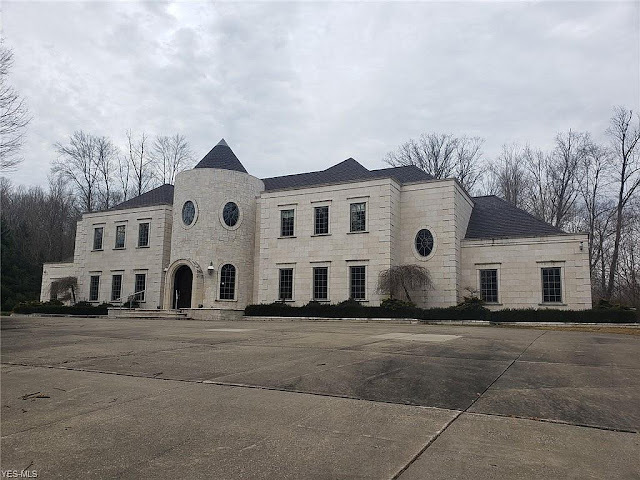 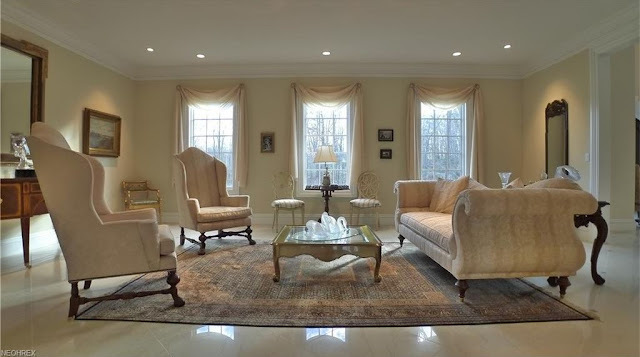 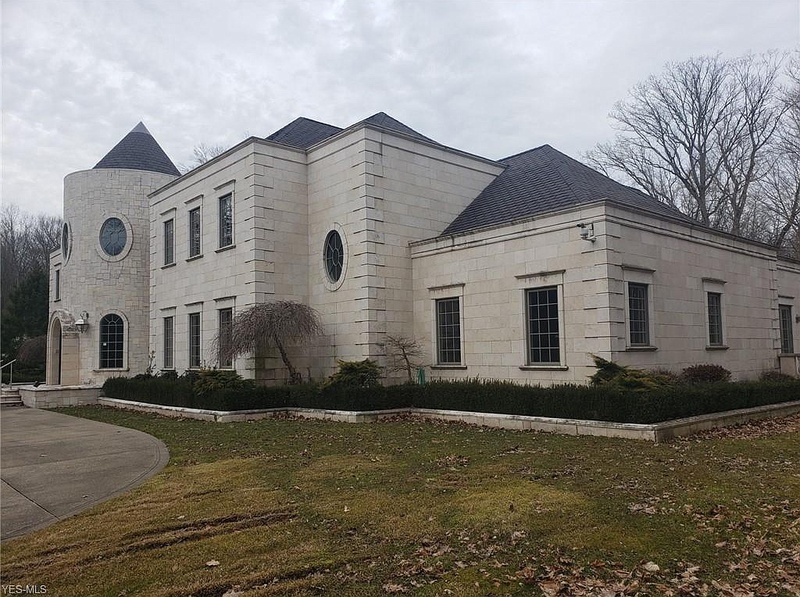 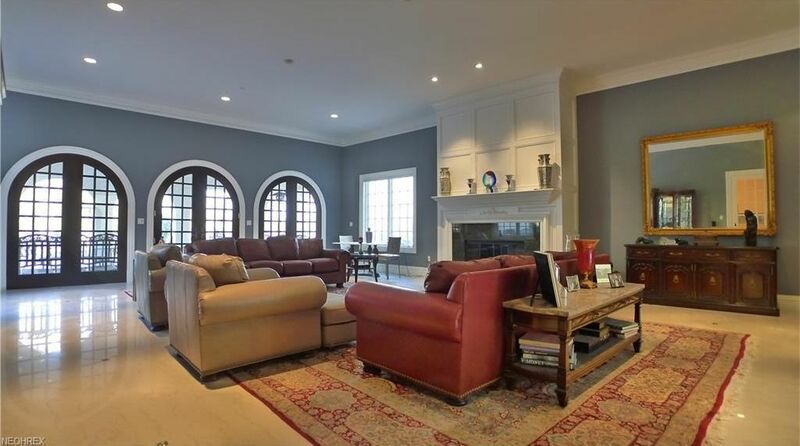 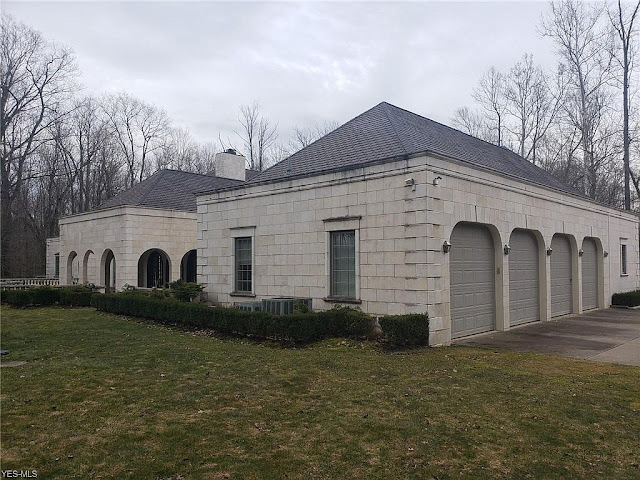 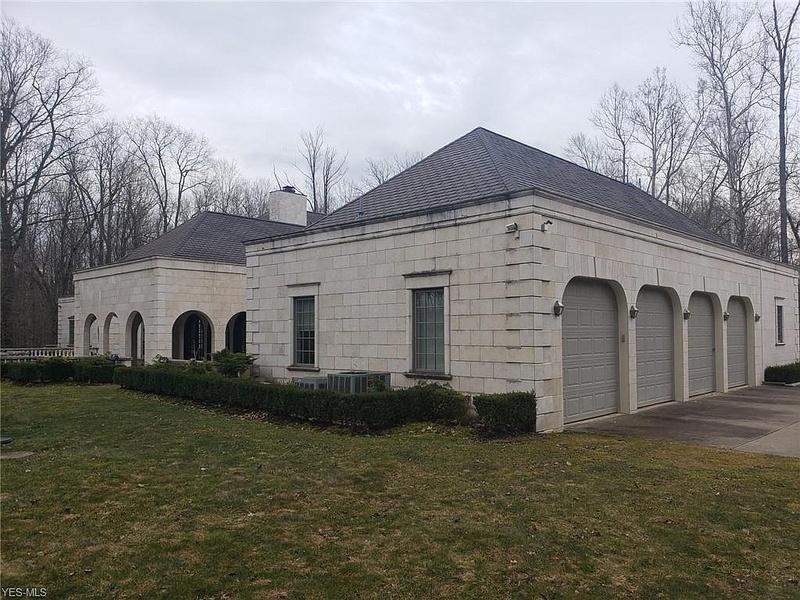 This Colonial-style mansion in Moreland Hills, OH was meticulously constructed in 2002 using Jerusalem stone and is situated on five acres of land. 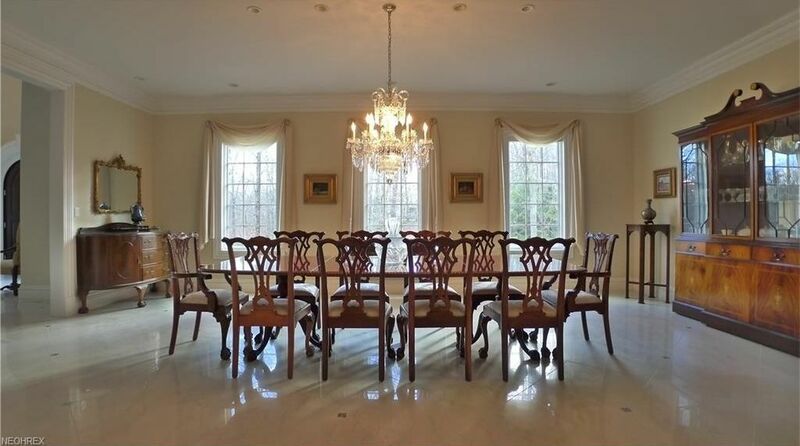 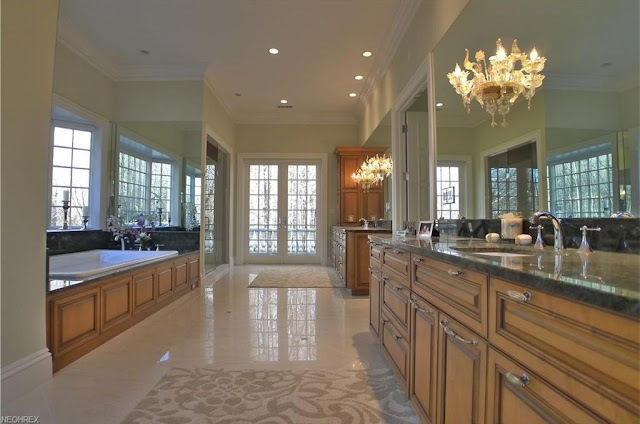 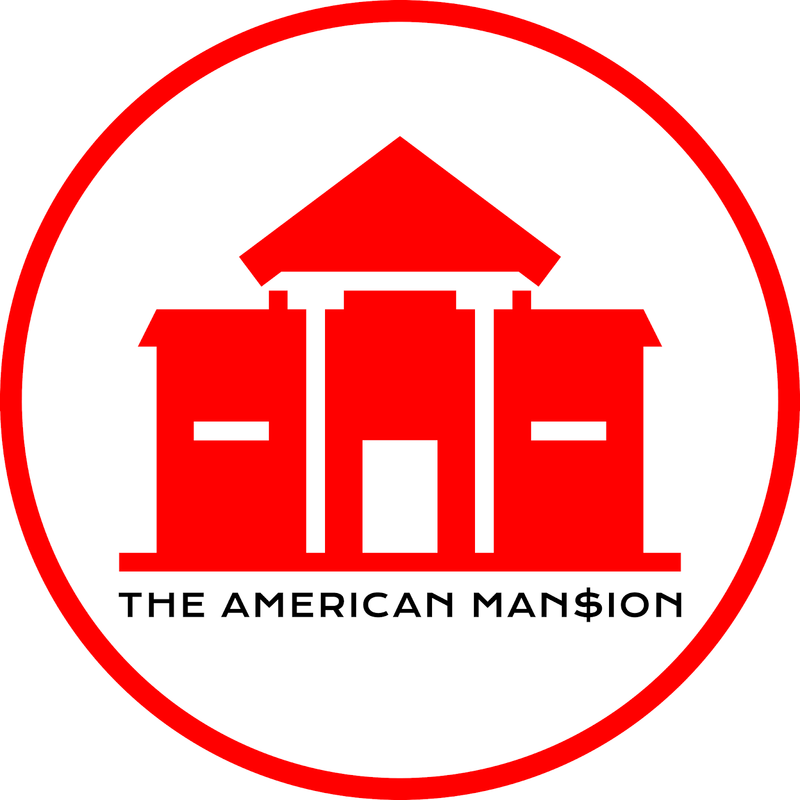 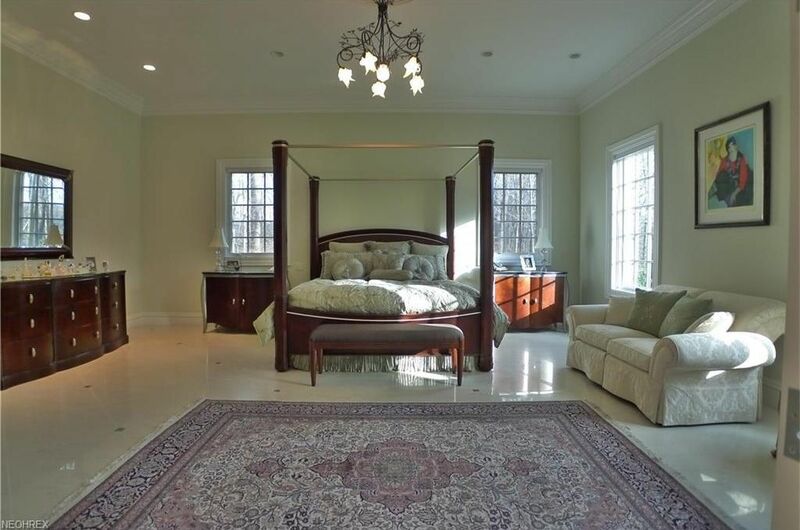 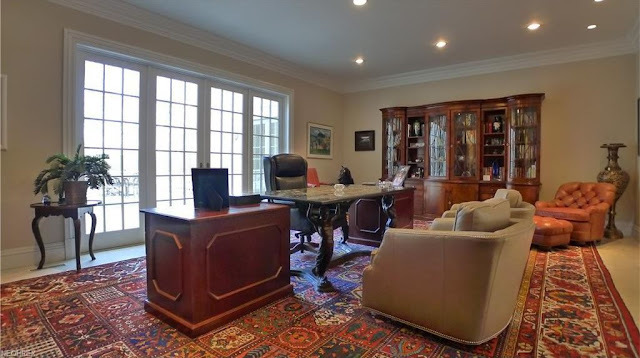 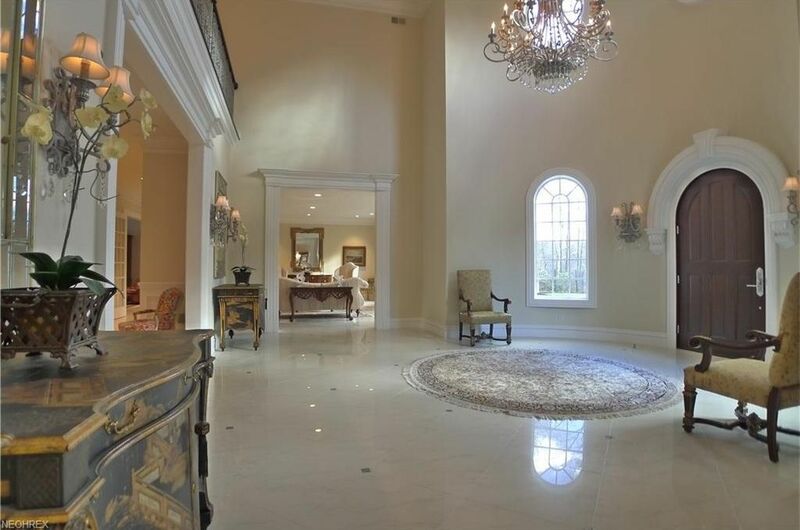 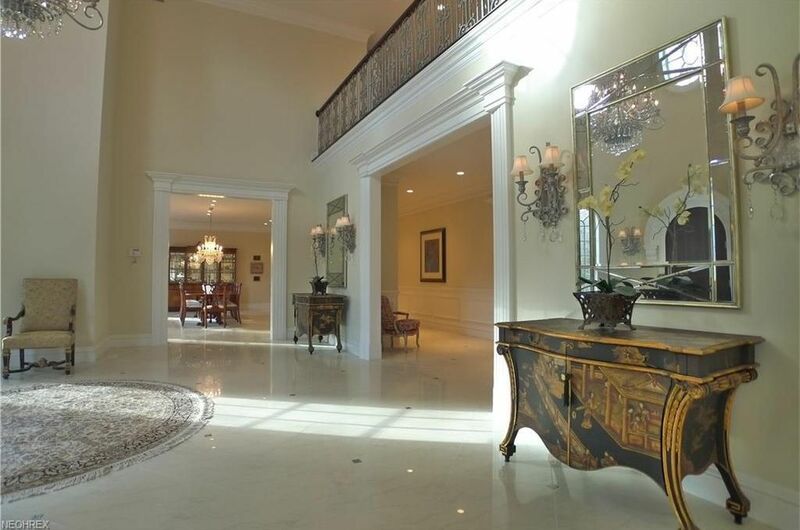 It features approximately 9,084 square feet of living space with five bedrooms, five full and two half bathrooms, two-story rotunda-style foyer, formal living and dining rooms, great room with fireplace, gourmet kitchen with floor-to-ceiling cabinets and breakfast area, home office, four-car garage, and much more. 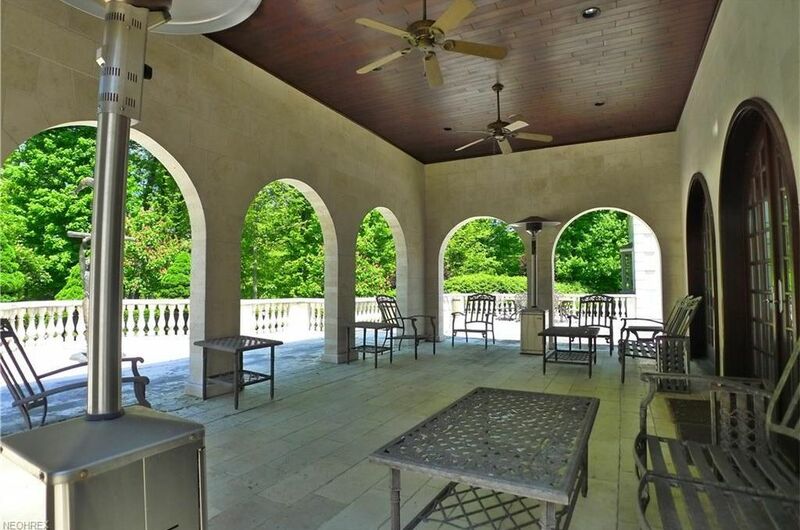 Outdoor features include a motor court, covered veranda, and an expansive patio.